Thank you for expressing interest in an Oak Park Fiddle Camp Scholarship! The Oak Park Fiddle Camp Scholarship Fund has been around since 2014 and we are so excited to make camp available to more kids! We have full and partial scholarships available this year, and we would like to award them to students who would not otherwise be able to attend camp. This is our short application just to get a sense of who your camper is and why you are applying for a scholarship. 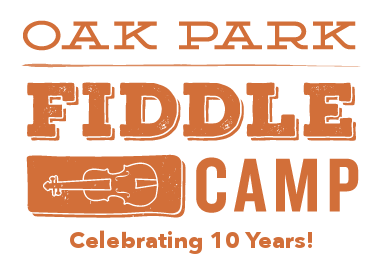 In addition to filling out this form, please fill out the Oak Park Fiddle Camp Registration form. Leave the payment area blank until you hear back about the scholarship. If you have any questions regarding the scholarship or Fiddle Camp in general, do not hesitate to contact us. A donation of any amount to our OPFC Scholarship Fund is an investment in the success our Camp and empowerment to spread the OPFC experience to every one we can. Your support is truly appreciated!